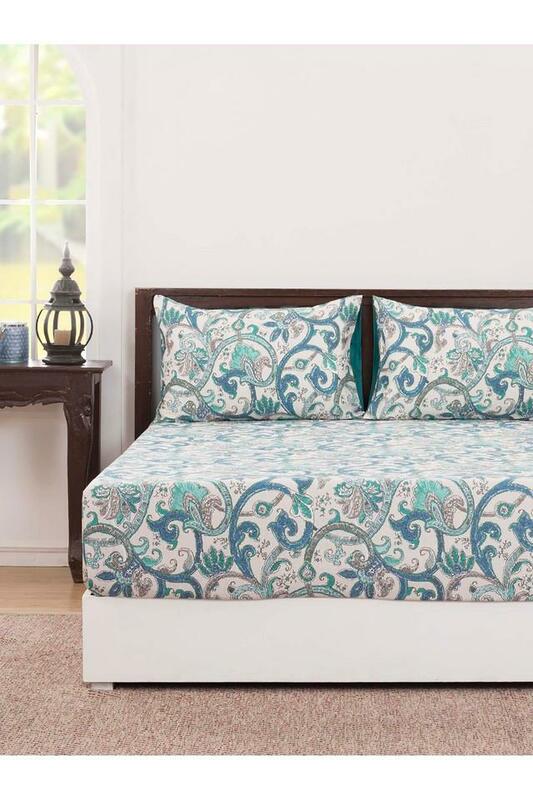 Enhance the curator in you by adding this double bed cover with two pillow cover from Maspar to your bedroom collection. 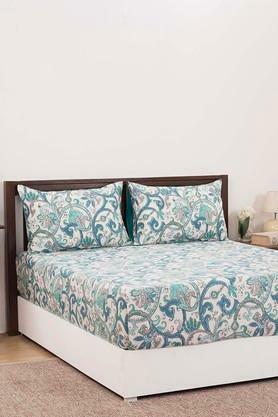 Made using cotton fabric, it ensures an easy maintenance. 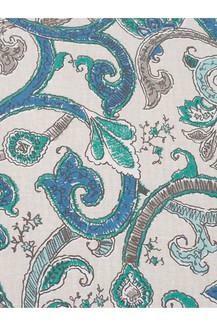 The printed pattern enhances its appeal and will complement the interiors of your home well. Presenting intricate corsage detailing, this double bed cover with two pillow covers which speaks the language of elegant bedroom decor.